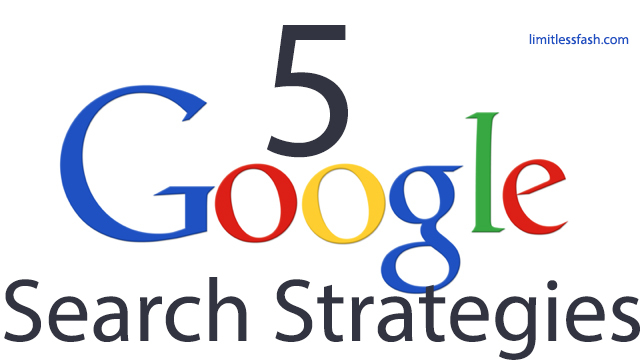 If you haven’t read Strategy 1 of the Google Search, you will get a bit confused digesting this one. Click here now to read Strategy 1 first and return here to scoop this post. We have clarified the idea of knowing what we are looking for. That’s an important step in using any search function that exists. Don’t forget that the direct benefit of learning these strategies for you is that it will help you to maximize the time you spend in searching for things online, get you directly into the mailbox of the person giving out a job, help you to do a meet up with your hidden customers where that hang out and of course learn how to get scholarships and make amazing connections around the world. Let’s dive in; Are you ready? Let’s shoot! STRATEGY 2: HOW TO GET OUT THE CRUCIAL KEYWORDS. Now, let’s learn how to get a list of words that makes any type of search easy Online or Offline. It is called KEYWORDS. Yes! These are the words that hold the key that unlocks a long sentence. In the first part, you have been able to come up with a list of general sentences of what you are looking for. Thumbs up! Now, we have to break those long sentences to bits and pieces. We want to chop off some of the not-so-important words and move to action with the most important. I am looking for funding to establish rice farming in Peru. What are the keywords in the sentence above? What are the most important words? Funds, Rice Farming, Peru – these are 3 major keywords. If you take that initial sentence and search on google, you will be overwhelmed with the (with many irrelevant) results it will bring. Fewer and relevant results will come up if we use keywords with some syntax (I will explain that in later) to get exactly the donors, angel investors, venture capitalist or grant making organizations. Prikkle Academy (a non-governmental organization) work in grassroots communities of Nigeria to empower young people to create social solution by having access to an open, personalized and quality education in innovative centers. – find out about other organizations in locally and internationally that do similar work. – find (and contact) the foundations and donors that can support their project. – find conferences and seminars that is useful for the staff to improve their capacity. – find discussions, blogs, media houses etc where I can share our work with the world and also learn best practices in my field. To search for funding organizations, what will the keywords be? Something like grant making, grants, rural education, rural schools, donors, developing countries, quality education, empowerment, digital libraries, innovation, creativity, Sub-Sahara Africa, Nigeria, non-profits, open education, NGO and so on. When Prikkle Academy used this strategy, they found at least 45 organizations that are enthusiastic about their projects and eager to support their work. Get out your keyword and keep him someone safely. In the remaining series, we will practically use these keywords to find all the answers we have ever desired. In fact, we will use these keywords to tell google never to ‘misbehave’ again but favour us every time. Practical Action: Write out at least 20 keywords from the sentences of what you are looking for. Now I want you to relax your nerves and please don’t do this in a rush. I will be here to help if you find it difficult to think of the keywords. Click here to Read STRATEGY 3.